Avocados are a great source of nutrients, including vitamins B, C, E and K, and are loaded with healthy monounsaturated fats. An avocado-rich diet can lower cholesterol levels and might have other health benefits too. Of course they’re also tasty and can be used in a wide range of recipes. They aren’t cheap though, so having your own avocados growing in the garden is a tempting idea. The good news is that if you have the right climate it’s possible to do exactly that. With a little bit of planning, and some care and attention, you can be picking your first home-grown avocados in a few years. 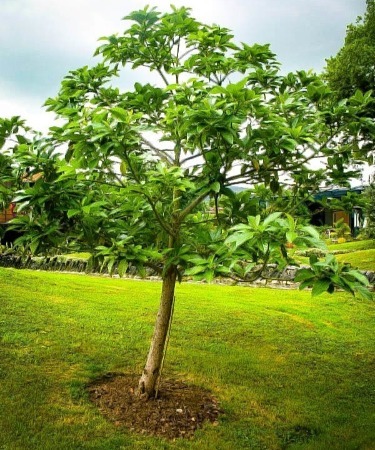 It’s important to pick the right spot for your avocado trees – and keep in mind that if you want fruit you’ll need to plant more than one, so they can cross-pollinate. The main thing to remember when planting is that avocados are a sub-tropical species and don’t like cold weather, so if you have frosty winters they’re unlikely to thrive. If you live in USDA hardiness zones 9 or 10, though, you should be able to grow them successfully, and Mexican or Guatemalan varieties can survive an occasional light frost. First you have to arrange the right amount of sunlight; they need some if they’re going to produce fruit, but are vulnerable to damage from hot sun. Dappled shade works well, and so does a location that gets morning sun followed by shade in the afternoon. You have two options for planting an avocado. You can buy a young tree, or grow your own from a pit. We recommend buying a tree – you’ll get fruit much sooner, and it’s likely to be a lot better quality too. The fruit from pit-grown trees is usually disappointing. If you already have a tree like this you can graft on fruit-bearing branches to improve the quality of the crop. 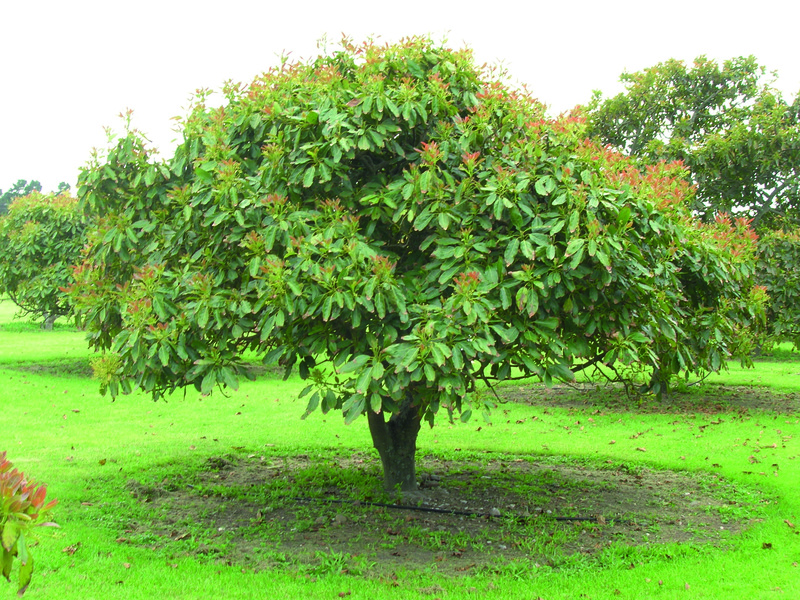 Plant your tree in a well-drained spot with organically rich sandy or loamy soil; they don’t tolerate heavy clay. Try to arrange as much shelter from the wind as possible, and if necessary build screens to give some extra protection until the tree is established. If you’re planting more than one tree put them at least 30 feet apart to give their canopies room – they can reach up to 65 feet high and 30 wide. Slow, deep watering is always best for avocados. Like citrus trees they prefer to dry out slightly in between, so unless the weather’s unusually dry it’s enough to water weekly. Let it soak down to the roots, but don’t over water; avocados are prone to root rot. In very dry weather you might need to increase this to twice a week – it’s not a drought tolerant tree. On the other hand in spring and fall every two weeks is usually enough, and once a month in winter. Incorrect watering is one of the most common causes of problems with avocados, so it’s worth getting it right. A drip hose around the base of the tree is a good way to ensure a good, deep water delivery that won’t leave it sitting in a patch of soggy ground. Avocados need light fertilization to keep them in top shape. A six-inch layer or organic mulch around the tree is a great help here; as it decays it will leach nutrients into the soil above the roots. Leave about a foot of space around the trunk to help prevent rot; this will also make it easier to water the tree. Help it out by feeding with a slow release fertilizer every spring – one made for citruses is ideal. Don’t start fertilizing until it’s at least two years old though – young trees have delicate roots and fertilizer can damage them. With all this done, your tree should be off to a good start and growing well. Now you need to protect it from various hazards. One that kills off a lot of avocados is frost. Even areas that usually never fall below freezing can have the occasional frost. In general, Mexican avocados can survive the occasional drop to about 20°F, and Guatemalan varieties will be fine for short periods at around 25-30°F. West Indian avocados won’t tolerate frost at all, so we don’t recommend those for planting in the USA. If the weather forecast tells you colder weather is on the way don’t give up though; there are a few things you can do to protect your tree. The first is to build a mound of soil at least six to eight inches deep around the base of the trunk to give some more insulation. If you have time, water it thoroughly. Then look at keeping the cold out as much as possible. Screen the tree from cold winds if possible. Small, young trees are most vulnerable to frost so cover it with a blanket or tarp during the night (but make sure to remove the cover in the morning). Placing a small camping lantern or a light bulb under the cover will also help; often it’s enough to keep the air around the tree just above freezing. Canker – This can be deadly if it affects the trunk, but on branches it’s usually cosmetic. Prune badly affected areas where possible. Fruit rot – As the name suggests this affects the ripening fruit. It’s caused by a fungus and spread by poor maintenance; stressed trees are more vulnerable. Clear away plant debris from around the tree, as this can be a reservoir of fungal spores that will infect your next crop. Be sure to pick all the fruit at harvest time, too; leaving any on the tree will increase the risk. Sunblotch – This isn’t caused by the sun; it’s a viroid infection that can cause reduced yield and unsightly disfiguration and yellowing. It’s also incurable, so protect your avocado crop by buying certified disease-free trees. Borers – These often colonize avocado trees, and can cause serious sap loss. A bad infestation can even weaken branches enough that they break under the weight of fruit. Check your trees regularly for borer holes; prune any infected branches and dispose of them away from your tree, then treat it with insecticidal soap. Thrips – These tiny insects like to nibble the fruit, causing scarring. Eliminate them with dormant oil or pyrethrin. Avocados do need some care and attention, but for a subtropical fruit they’re actually not that hard to grow. The main thing is to water and fertilize properly, and like any tree they benefit from regular checks for pests and disease. Stay on top of that and soon they’ll be rewarding you with an annual crop of tasty, nutritious fruit. I have an avocado tree that is about 12 to 16 years old I think. We used to get beautiful fruit as if 4 years ago…? Leaves are very small on the taller branches, newer branches growing below canopy are big and green. Outter brances are sparse and black. Gets yellow leaves with specs on the viens, I think it’s a parasite or mite of some sort? Should I prune my tree way back in the fall when it’s not so hot anymore! We just planted an avocado tree. It is a 3 gallon tree we got at a plant show. It has since wilted and not perked back up. Any suggestions or advice?